How far can you push a device that is, inherently, for a single purpose? Having used the Kindle from the regular version many moons ago to a relative’s older Paperwhite, to the new Kindle Paperwhite now, there has been a strong push by Amazon to stretch these boundaries. As an E-reader, you simply need it to store E-books, allow you to read them and make it reasonably easy for you. The Kindle Paperwhite does this, and more, with great aplomb. 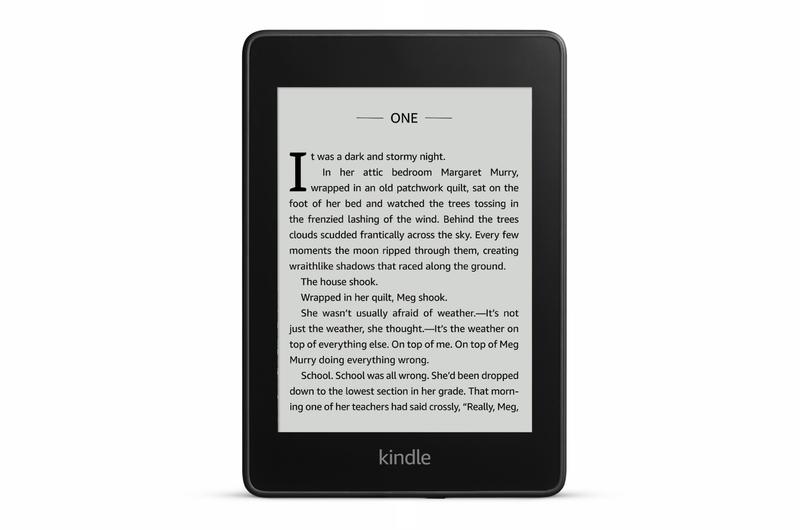 What really helps push the new Kindle Paperwhite forward are three core new features. First and foremost, the new Paperwhite comes with up to 32GB of storage. If you use the Paperwhite simply for E-reading, then I have to wonder if you have a library large enough to actually fill it. Alternatively, you can get 8GB of storage. The larger 32GB storage directly links to the core new feature, audiobook support. Including Bluetooth in the new Kindle Paperwhite, Amazon now allows you to connect it to Bluetooth speakers or a headset and lets you play audiobooks through the device. If any feature can now be described as essential, it’s that. Over the past few weeks I’ve read through three books (Bird Box, World War Z & Pines) and I’ve been listening to one Audiobook (Fear the Sky). Particularly useful is the ability to link it to my car, letting me listen to an audiobook while I’m on a long trip. However, this does lead to one of the downsides. One feature Amazon has always pushed with the kindle is a battery that ‘lasts weeks’. Honestly, it doesn’t. Not if you’re a fairly heavy reader like me. If you’re playing audiobooks, then the battery is going to take a fairly big hit. I’ve personally had to charge it up after three days of fairly heavy use. Coming with the older MicroUSB cable rather than USB-C, you’re going to need to carry around that extra cable. Not a massive inconvenience, but not quite as advertised (unless you look at the small print). Another perfect feature for me, because one of my favourite places to read is in the bath, is the fact that this new version is IPX8 rated. Reportedly, you can submerge the new Kindle Paperwhite in up to two metres of water for up to one hour. If you’re keeping it submerged for that long I think you may have a little more to worry about than the Paperwhite. Mostly, the fact that you’re trying to read a book while scuba diving rather than looking at the fishes. Personally, I’ve already dropped it in the bath and also submerged it in a bucket of water for roughly 30 minutes, with no ill effects. If there’s one thing I’ve always had an issue with the Kindle is how distinctly average it can feel. There have been improvements made here, primarily on the aesthetics. Rather than being sat back, the display is now in-line with the edges. The back of the Paperwhite, if you haven’t put a cover on, the back is rubberised which does allow for a firm grip. It does show each and every fingerprint you could imagine, somehow even those that haven’t touched it. A minor issue and one easily solved with a case. When it comes to shopping around for books to read, I’ve still yet to have a good experience with the Kindle family. With the regular Kindle, only a few screens in I decide to turn to my mobile phone, purchase whatever E-book I fancy and then downloaded it on the kindle. The Paperwhite is better, but still a pain – particularly if you don’t have a good wireless connection at that moment. When I’ve used it and had a poor signal, either Wi-Fi or 4G, it felt sluggish at best. Fortunately the same can’t be said for the activity of reading. While I never expect any E-reader to actually replace the tactile feeling of holding and reading a book, there’s little you could find that is better than this. The adjustable backlight makes reading during either day or night a simple and easy task. The only issue with this is that it isn’t automatic, you have to manually adjust the lighting. In addition to this, very little is noticeable when turning pages. You don’t get a large or long screen refresh, the text moves over and all is happy in the world. You can fully adjust the text size to your own needs and if you happen to share it with other members of your family, simply set up a profile on the Kindle for them and it will remember what size text they like. Perfect if you happen to have somebody with poor eyesight who needs a larger font. I’d also be remiss if I didn’t say, even in a case, it’s fantastically portable. It’s light, easy to handle and fits in my trouser pocket. There are three different ranges of the new Kindle Paperwhite, as well as two of them featuring ‘special offers’. These are, simply, advertisements built into the kindle that show on the sleep screen. A decent sacrifice if you want your E-reader that bit cheaper and you don’t mind Amazon showing you something you may want to buy. The cheapest version offers 8GB of storage and no other features. This, without the special offers advertisements, costs a base price of £129.99/$119.99 (discounted), with them the price is £119.99/$99.99 (discounted). As expected, for this price there is no 4G LTE connectivity. Moving up there is the 32GB Wi-Fi only model. This costs £159.99/$149.99 (discounted) or £149.99/$129.99 (discounted) without or with the special offers. Finally, there is the 4G/Cellular Connectivity model. This comes with 32GB of storage, as well as the free connectivity, and is priced at £219.99/$209.99 (discounted). There is no option for special offers on this version. Frankly, I would argue that the pricing of the Kindle Paperwhite is more than fair. I do have a slight issue with the fact that while it does come with a USB charging cable, it doesn’t come with an adapter. You’ll need to buy one separately, with the official Amazon adapter being priced at £11.99/$19.99. Naturally, you can buy a cheaper alternative if you don’t want the Amazon one. You may also find that you want to buy a case for your Paperwhite. Amazon sells cases from simple fabric ones, to their premium leather case. These can cost anything from £24.99 to £49.99/$29.99 to $59.99. I was provided with a premium leather case and I have to admit that it’s perfect, helping to prevent any unseemly fingerprint marks and also thanks to the magnets within the case, it activates the Kindle Paperwhite’s sleep function. 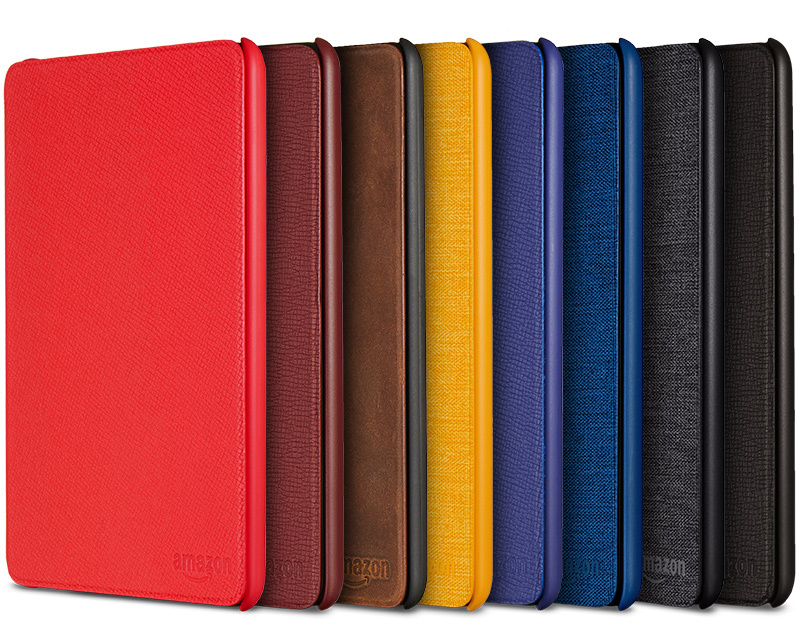 Naturally, there are alternative cases by other manufacturers available too – though none seem designed to fit the Paperwhite absolutely perfectly. As always, I’d like to thank my ever-replenishing glass of whisky for keeping me company during these times of reading. My bath is a constant companion, allowing me to wind down and relax whenever needed, without complaint. Most importantly, the authors who keep putting out novels that I’m able to get lost in. Though honestly, were I to actually say that something is worth acknowledging, it’s the Kindle Paperwhite. Why? Because for the price you pay, there literally is no better E-reader on the market. Naturally, some of the higher end readers like the Kindle Oasis are designed with more durable materials and do genuinely have that bit more quality, but you’d be paying the price for that. If you want a portable, functional and easy to use E-reader, you needn’t look further than the new Kindle Paperwhite. It fits in your pocket, supports audiobooks across Bluetooth and if you happen to be reading at the beach or in the bath, don’t be worried about a bit of water. The only thing that’s left to add to this range is support for immersion reading. All things considered, the Kindle Paperwhite is an all-around fantastic purchase, or gift, for the readers among us. Kindle Paperwhite provided by Amazon for review purposes. The new Amazon Kindle Paperwhite is the pinnacle of the Kindle range when considering pricing and functionality. With audible support, as well as now being waterproof, this is the perfect E-reader to take with you wherever you may be going. It does have a few minor downsides compared to higher-end devices, such as lacking immersion reading, plus it's still stuck with MicroUSB, but any issues are far outweighed by the benefits.